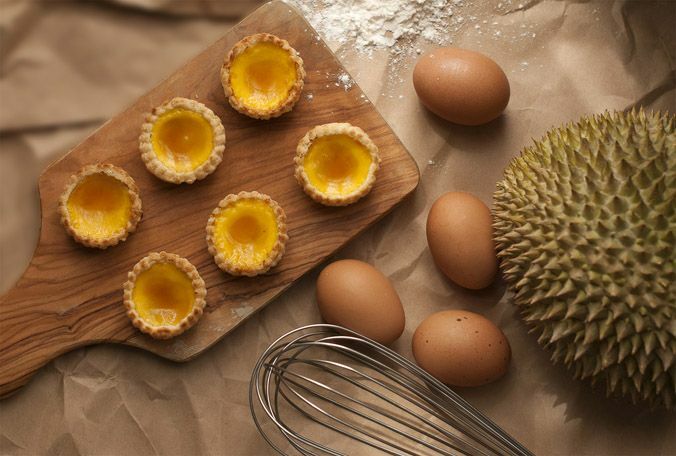 Experience a durian extravaganza like never before. It won’t be long before the durian season is upon us again. Following the success of the Durian Fiesta last year, the annual durian feast returns to Goodwood Park Hotel with the biggest selection to date. Held from 16th March to 2nd August 2015, six new creations will be added to the menu such as the colourful “Durian Rainbow Ice Cream Cake”, “Durian Carrot-Walnut Cake”, “Mini Durian Chocolate Wafer Rolls” and “Durian Egg Tartlets” all made in D24 deliciousness. Of course not forgetting there will also be new confections made with the best of its kind, “Mao Shan Wang” durian type. That includes the “Mao Shan” Power Puff, an oversized cream puff and “Mao Shan Wang” horn, a new take on the classical cone pastry that’s now filled with “Mao Shan Wang” filling.